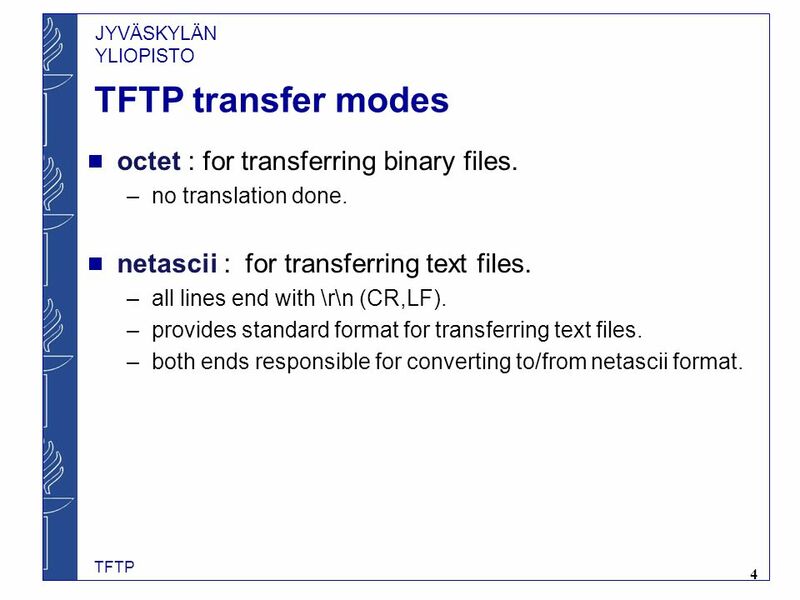 4 TFTP transfer modes octet : for transferring binary files. 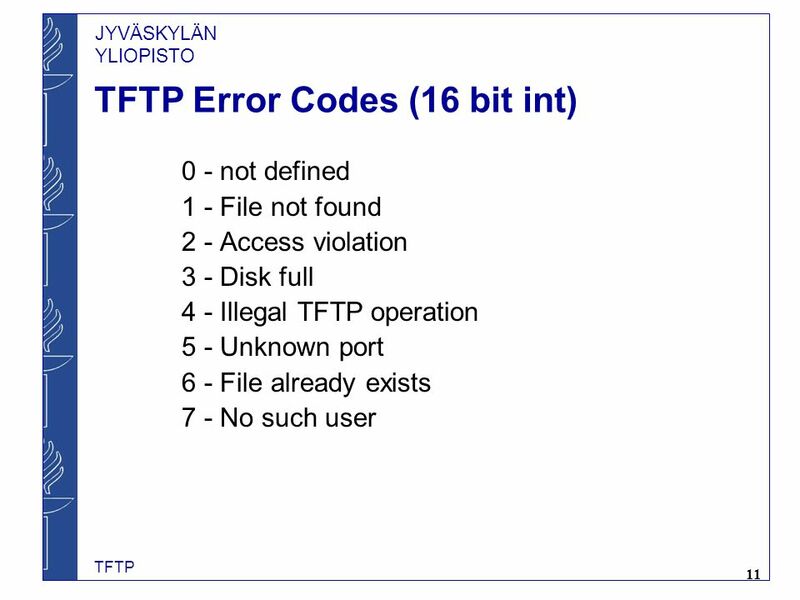 Download ppt "TFTP (Trivial File Transfer Protocol)"
TCP - Part I Relates to Lab 5. 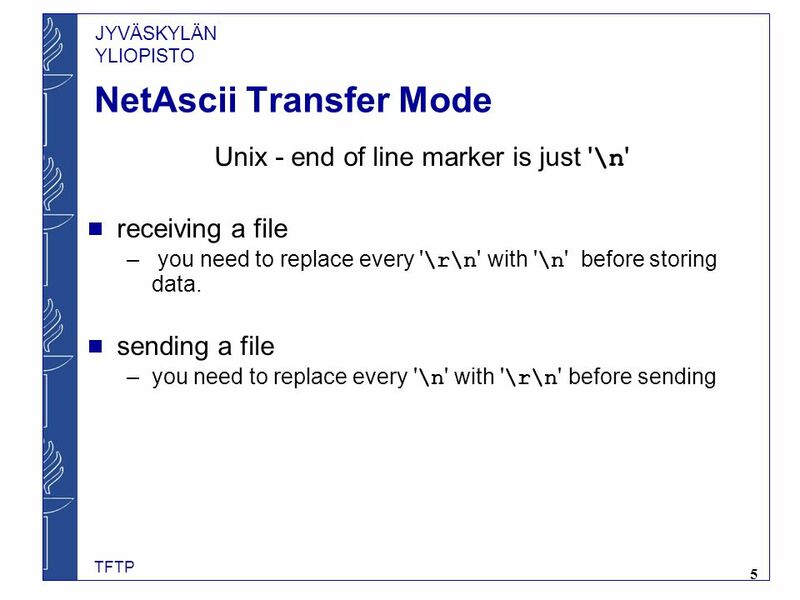 First module on TCP which covers packet format, data transfer, and connection management. 1 TCP - Part I Relates to Lab 5. 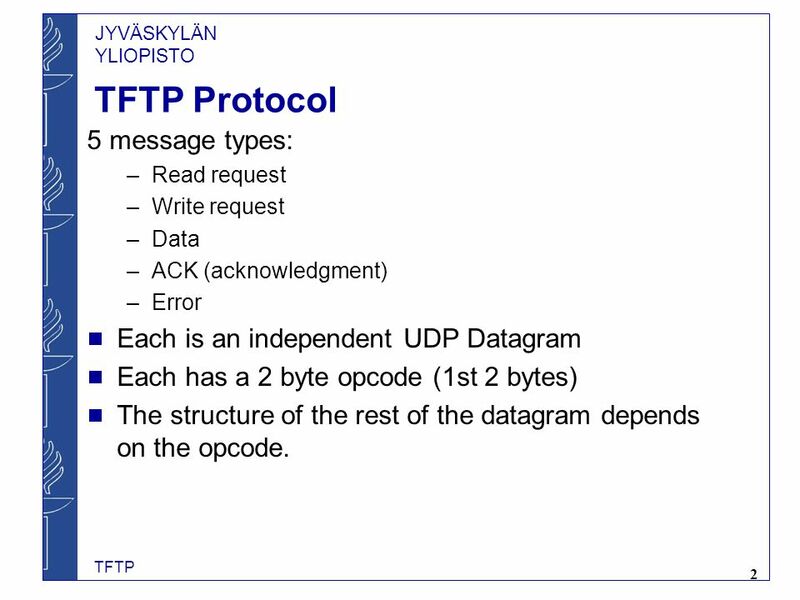 First module on TCP which covers packet format, data transfer, and connection management. 1 CS 4396 Computer Networks Lab Transmission Control Protocol (TCP) Part I. 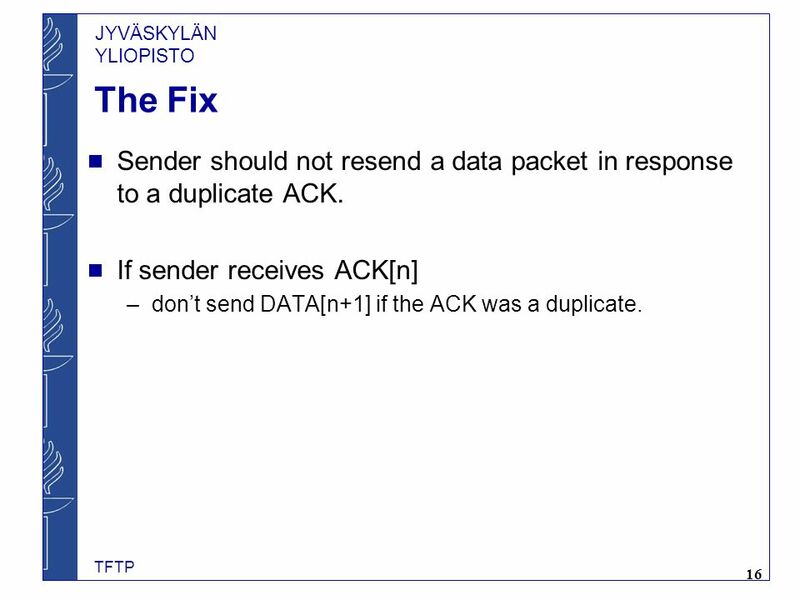 1 © 2003, Cisco Systems, Inc. All rights reserved. 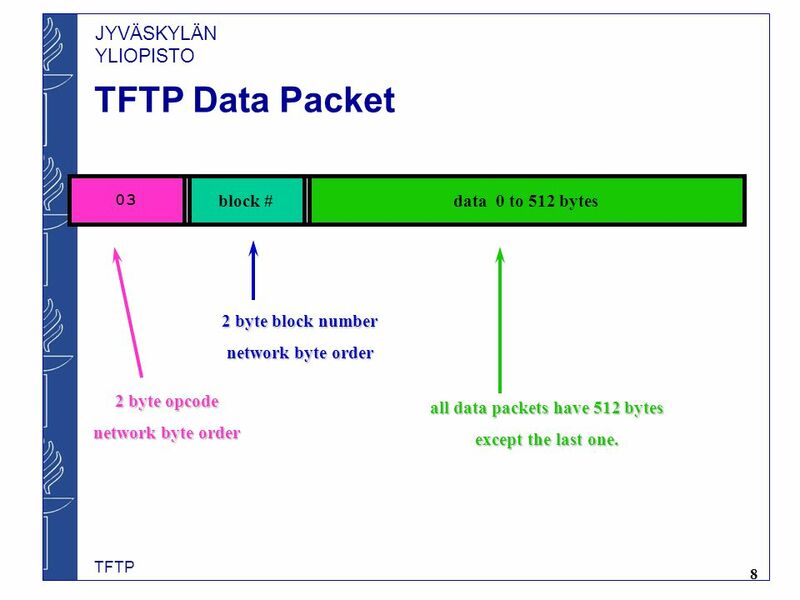 CCNA 1 v3.0 Module 11 TCP/IP Transport and Application Layers. Chapter 15 – Part 2 Networks The Internal Operating System The Architecture of Computer Hardware and Systems Software: An Information Technology Approach. 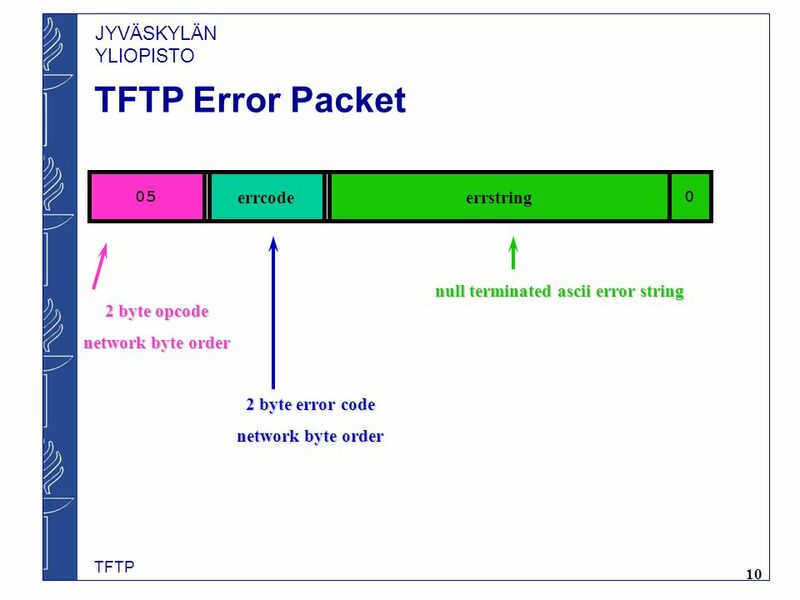 TCP. 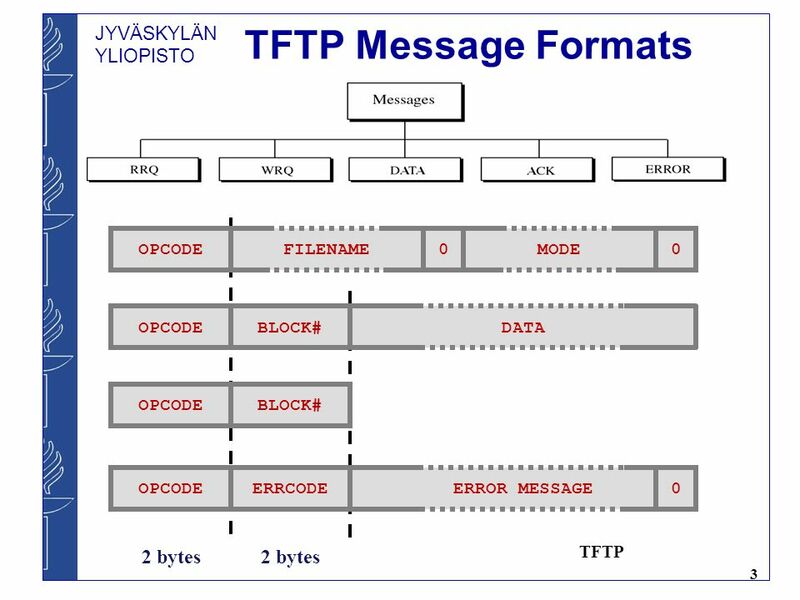 Learning objectives Reliable Transport in TCP TCP flow and Congestion Control. Ch 23 1 Based on Data Communications and Networking, 4th Edition. by Behrouz A. Forouzan, McGraw-Hill Companies, Inc., 2007 Ameera Almasoud. Advanced UDP Sockets© Dr. Ayman Abdel-Hamid, CS4254 Spring CS4254 Computer Network Architecture and Programming Dr. Ayman A. Abdel-Hamid Computer. WXES2106 Network Technology Semester /2005 Chapter 8 Intermediate TCP CCNA2: Module 10.